Other photos: Salon, Salon, Salon, Dinning Area, Galley, Master, Master, Master Head, Fly Bridge Helm, Helm Chairs, Fly Bridge Seating Area, Anchor, Dinghy, Dinghy, Dinghy, Davit, Starboard MAN Engine, Port MAN Engine, MAN Engine, MAN Engine, Generator #1, Generator #2, Water Maker, Water Maker, .. The 550 Sedan is a three stateroom, two head, galley and dinette up layout. The hard top enclosed bridge offers great protection, visibility, comfortable seating for 8, and is easily accessed via molded steps. 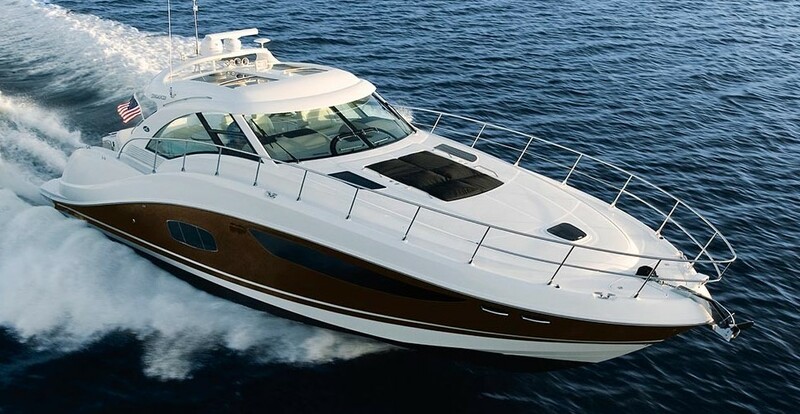 This is a beautifully maintained vessel and fully loaded with equipment including: Bridge air conditioning, Hydraulic davit, Bow Thruster, Stern Thruster, Raymarine C120 color GPS plotter, Sea Ray Navigator GPS Plotter, Autopilot, flat screens everywhere and in perfect condition, SAT TV, etc.